NOTE: We are pleased to share the following analysis from 5W Consulting, a London-based online social data research company. As the world gathers to say final goodbye to Nelson Mandela today, one can only be inspired by the world’s reaction to Mandela’s death and the legacy he has left. 5W Consulting, the online social data research company, used Crimson Hexagon’s ForSight platform and internal data research expertise to study the Twitter reaction to Mandela’s death from 03 December 2013 just before his death until 08 December 2013, examining data in English, regardless of geography. With 7 million tweets in total, 5W asks how did the Twitter world react to Mandela’s death; how was he perceived? Along with sadness and mourning, an overwhelming feeling of inspiration, hope and celebration of Mandela’s life is felt worldwide. 34% of the conversation talked about Nelson Mandela as a world legacy that won’t and mustn’t die. An overwhelming majority of the worldwide Twitter discussion (70%) praised Mandela’s legacy, expressed inspiration, shared his quotes and paid their respect for what he stood for. On the 4th of December, a day before Nelson Mandela’s death, the majority of Twitter conversations discussed Mandela’s courageous fight on his “deathbed” (50% of posts on the day) – people also started to share his quotes and share thoughts on his legacy as well as discuss the new film on Mandela’s life. 8% were centred on ridiculing people who either didn’t know who Nelson Mandela was or confused his photo with someone else. 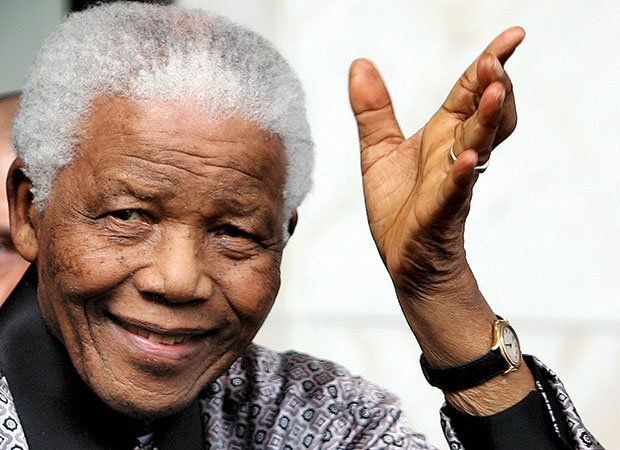 5% discussed Mandela’s controversial past or what many people called facts about Mandela that main stream news media won’t discuss such as: his views on the Iraq war, the Middle East, communism and the fact that he was on the USA terror watch list up until 2008. 2% discussed the film release. 1% of the overall conversation shared admiration towards the Eiffel Tower’s remarkable tribute to Nelson Mandela when it was illuminated by the colours of the South African flag. It’s clear from the analysis that before and after the announcement of his death, Nelson Mandela left an overwhelming feeling of admiration, love and inspiration in people’s hearts. “He changed the world for the better and people through future generations will be thankful for everything he did” – a clear and consistent message that stood out on Twitter between the 3rd and the 8th of December 2013.